Australia's Central Coast Mariners said negotiations with Usain Bolt were stalled over money Tuesday, also warning the sprint superstar he will not play in the A-League even if he signs with the club. The eight-time Olympic champion has been on trial with the A-League side since arriving in August to fulfil his dream of becoming a professional footballer. The 32-year-old's quest has garnered worldwide attention, which intensified last week when he scored two goals in a pre-season friendly. The Mariners said Bolt, who turned down a two-year, trial-free deal from cashed-up Maltese champions Valletta last week, had been offered a contract but added "negotiations remain ongoing" over the athlete's footballing future. The club said it was seeking outside sponsors to top up the offer to Bolt. "Without the financial contribution of an external third-party, it is unlikely that Usain Bolt and the Central Coast Mariners will agree to terms," it said. Sydney's Daily Telegraph reported this week that Bolt's representatives were initially seeking Aus$3 million (US$2.1 million) but the Mariners' offer was closer to Aus$150,000. The Mariners disputed the figures and said "if there is a suitable way forward for both player and club, the two parties will keep working together and formalise an agreement". Despite his pre-season double, pundits have criticised the 100m world-record holder's footballing form. The Mariners indicated the world's fastest man may have potential as a player but was not good enough to be a regular starter if he chose to stay. "Usain has made great progression during his time on the Central Coast and we feel that he will improve further with more individual intensive training and competitive game time," they said. "We are looking at ways to do this as the club does not have the luxury to be able to do this in the Hyundai A-League." 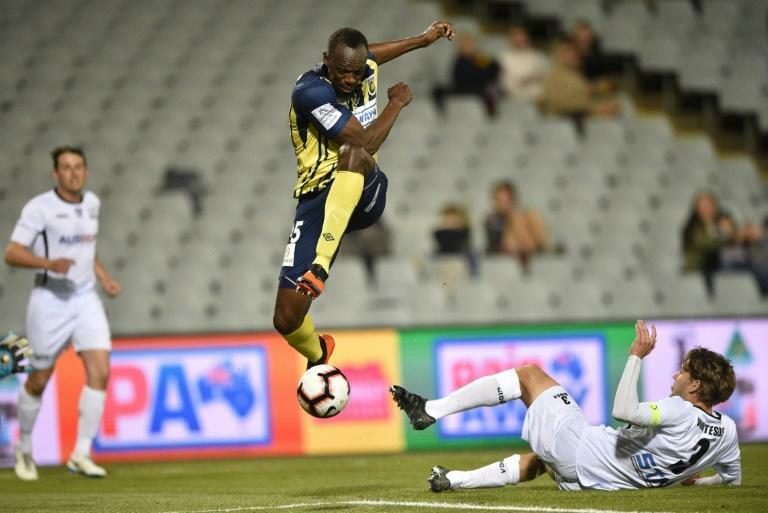 The Mariners said Bolt would not attend training while negotiations about his future were ongoing to avoid distracting his teammates ahead of Saturday's home match against Melbourne City. Bolt, who retired from athletics last year, has previously tried out with clubs in Germany, South Africa and Norway.